With the ever increasing presence of professional athletes, sports broadcasters, analysts and journalists, etc. on social media it’s no surprise the interconnected relationship that has formed between the sports world and social media. But is this relationship a positive or negative thing for these professionals or social media? For social media at least, I think it is a pretty positive relationship. 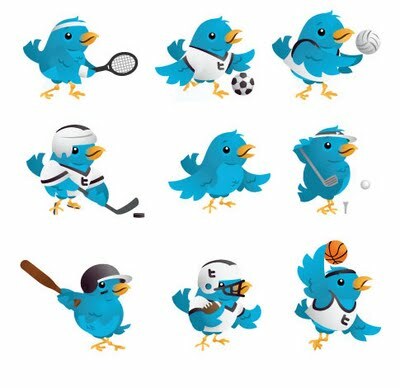 With ever growing fan bases joining social media sites to specifically follow their favorite athletes or teams, how could that not be a great thing for social media? These social mediums are gaining much larger audiences than they have ever had before. That means they are looking at more people to market to, more people to share their content, more people to interact with and possibly most importantly more people directly on their sites, increasing the sites popularity. But what about the professionals? Is social media as good for them, as they are for social media? Personally, I think it’s a struggle and leans more toward being a negative thing for professionals. Professionals are already under a tremendous amount of stress to perform, rather it be to win a game or complete a deadline on an article, is social media adding to their stress? I think it really has the potential to. On social media, pretty much anything goes these days. Fans can cuss, degrade, and just flat out go in on these professionals at any time, day or night. What happens if a sports professional hasn’t been taught properly how to handle the situation and completely reacts in an inappropriate way, cussing back at the fan? Well, that’s not good, needless to say. Of course there is always the choice of not being on social media. But doesn’t it bother you, even if just a little bit, when an athlete or professional in the sports world isn’t on social media? Isn’t your opinion of them ever so slightly skewed when they’re not? So many questions emerge when someone isn’t on social media. What are they hiding? Why don’t they want to interact with their fans? The list can go on forever. It’s almost a type of peer pressure situation for professionals to be on social media. On the other hand, social media can be positive in some situations for sports professionals. The main example that comes to mind for me is the case of former NFL wide receiver, Chad Johnson. Let me just go ahead and go on record that I like Chad Johnson. If you’re not familiar with the situation with Johnson, check out this article before reading on: http://abcnews.go.com/US/chad-ochocinco-johnson-allegedly-head-butts-wife-arrested/story?id=16989392 . Okay, so I’m sure now you have an opinion of Johnson and wondering why in the world I would still like him. Here’s the thing, through social media Johnson has been able to express his side of things, his apologies, and how he’s moving on and becoming a better person through therapy. It’s hard enough not to like someone with a personality like Johnson’s but it’s his openness and honesty that shines through past his incident. In his case, social media has in a sense saved him. He now has a job with CBS Sports and is currently a part of a movie being filmed. Johnson finds it enlightening and even helpful to share his experience with his fans through social media. Overall, I think that social media is both a friend and a foe to the sports world. It can either be the little angel or the little devil sitting on a sports professionals shoulder. It really just depends on the situation and even more importantly the responses.